Inquest held on the body of William Desmond Taylor at Ivy H. Overholtzer, Los Angeles, California, February 4, 1922, at 10 o'clock, a.m. Frank A. Nance, Coroner. Mr. Eyton, have you seen the remains of the deceased in the adjoining room? Do you recognize them as one you knew in life? He was born in Ireland, to the best of my knowledge. He told me so. Was he married, single or a widower? Thursday morning, or Wednesday night; I saw the body first on Thursday morning. Do you recall that date? At the Apartment "B," South Alvarado Street, 404 I think it was. What was the cause of his death, if you know? Well, Mr. Taylor's assistant rang me up at my residence, about, I should judge, 8 o'clock, and told me Mr. Taylor had died suddenly; so I immediately went over to his residence, and he was lying on the floor on his back. Detective Ziegler was there, and he had called the Doctor, he told me previous to my arrival; and the Doctor told me Mr. Taylor had died from hemorrhage of the stomach. Mr. MacLean, Douglas MacLean -- had told me that he had thought he had heard a shot the night before, and his wife also thought she had heard a shot -- and he wanted the body turned over; they didn't want to turn it over until the Coroner came. The Deputy Coroner came after awhile, and he was told he had died of hemorrhage of the stomach and I told him he had better turn the body over to make sure, and he put his hand under Mr. Taylor's body, and found a little -- when he pulled his hand out, it had a little blood on his hand. Douglas asked him what that was, and he said it evidently had run down from his mouth, but I noticed that there was no trail of blood -- Mr. Taylor's head was in a pool of blood -- there was no trail of blood running down. There was a pool of blood under his head? Under his head, yes, a little pool of blood. I immediately opened up Mr. Taylor's vest, and looked, and looked on the right-hand side, and there was no mark. I looked on the left-hand side and saw some blood, and then I told the Deputy Coroner that I thought that evidence enough to turn his body over to see what would happen. I sent for a pillow to put under Mr., Taylor's head, and we turned him over -- the Deputy Coroner and myself -- and we pulled his shirt and his vest up, and we found the bullet wound. Mr. Eyton, was his body stone cold at that time? Stone cold and very stiff and rigid. Indicating that it had been dead for some time? Where was the body lying with reference to the front entrance to his home? It was lying right in front of a little desk with the head pointed east and the feet pointed west. I should judge the feet were three or four feet from the door -- the front entrance. Who were present when you was there? When I came in, the first man I noticed was Detective Ziegler, whom I have known for a number of years, and Douglas MacLean; Charles Maigne; the landlord; and Harry Fellows, Mr. Taylor's assistant director. Did all of these persons live there in this neighborhood? That I could not tell you. Mr. MacLean did, I know because he showed me where his Apartment was. The place where Mr. Taylor lived, was in a court? These other buildings were near-by? There are several apartments in this court, all the way around. Did Mr. and Mrs. MacLean, or either of them, tell you about the hour that they heard the gunshot? Yes, Mr. MacLean told me that it was about 8 or a quarter after 8, and Mrs. MacLean thought it was a little later. You didn't make any definite measurements as to the position of the body? So that what you testified to is only an estimate, and nothing definite about it? Now, how long has Mr. Taylor lived in this place? That I could not tell you; he lived in it before he went to the war, I believe. When did you last see him alive? The same day -- Wednesday. Now, did he have any firearms of his own? I believe he had, a revolver; I believe the revolver was in the upper drawer upstairs; in fact, I know there was because Detective Ziegler and myself went up there and saw it. When you were called to this place, did you see any firearms in this room where he was? What is the name of his valet, or attendant there? Harry Peavey, the colored cook; I never knew him or saw him. Was he the one who called you? Harry Fellows, his assistant director, was the one who called me. You have no independent knowledge of the manner in which he met his death? Have you any questions, Gentlemen? Was his clothing ruffled in any way, showing any violence? No, absolutely none; it looked like he just walked in the door and was shot in the back; that is the way it looked. It didn't show evidence; in the room when I got there -- neither the; room or the body showed any evidence of a struggle. He had on the same suit as when I seen him the day before when he talked to me. Is there any other question? That is all, you may be excused. Physician and County Autopsy Surgeon. Dr. Wagner, did you perform a postmortem on the body of the deceased? Will you state your findings? I performed an autopsy on William D. Taylor, at the morgue of Ivy H. Overholtzer, February 2, 1922, and found a bullet wound in the left side. The bullet entered six and a half inches below the armpit, and in the posterior auxiliary line, and passed inward and upward, passing through the seventh interspace of the ;ribs, penetrating both lobes of the left lung, and emerging on the inner margin of the upper lobe, then traversing the mediasternum, passed out of the chest on the right side of the middle line, posterior to the right collar bone, and entered the tissues of the neck, and I found the bullet just beneath the skin, four and a half inches to the left of the outer side of the right shoulder, and on a line drawn from the top of the shoulder to the lower junction of the right ear. The left pleural cavity contained considerable clotted blood. The vital, chest, and abdominal organs were free from disease. The cause of death was gunshot wound of the chest. Have you any questions, Gentlemen? That is all, you may be excused. Miss Normand, were you acquainted with Mr. Taylor, the deceased in this case? And where did you see him? Will I tell you when I went in there and when I came out? Did you see him at his home? And you were with him about how long on that occasion? I got there about 7 o'clock, and left at a quarter to 8. And when you left his place, did you leave him in the house, or outside? No, he came down to my car with me. Right in front of the court. He accompanied you to your car? Was he still there when you drove away? Yes, as my car turned around, I waved my hand at him; he was partly up a little stairs there. At the ;time you were in the house, was anybody also in the house? Do you know whether Mr. Peavey left the house before you did or not? Yes, he did; he left about, I should say about 15 or 20 minutes before I left, but stopped outside and spoke to my Chauffeur; we came out later. No one else except Henry Peavey was there? What time was it you say you left him -- drove away from his place? I left him on the sidewalk about a quarter to eight. Did you expect to see him or hear from him later that evening? Yes, he said -- had finished his dinner -- he said would I go out and take dinner with him and I said, "no;" I was tired; I had to go home and get up very early; he said he would call me up in about an hour. No, I went to bed; if he called me I was asleep; when I am asleep he tells my Maid not to disturb me. Was that the last time you saw him when you left him about a quarter to eight? That was the last time. I live at 127 l/2 East 3rd Street. Mr. Peavey, were you employed by Mr. Taylor, the deceased in this case? Were you employed by the dead man in the case? How long have you been working for him? Were you in his house on the evening when he was found dead there? What time did you leave the house? I figured it was about a quarter past when I left the house. Where was he when you left? He was sitting in a chair facing just t_____m [transcript illegible] now, and Miss Normand was sitting in a chair just the same. They were discussing a red-backed book. In what part of the house were they? They were near the dining room where you enter the dining room from the living room. That is a two-story apartment, is it not? And on the ground floor, how many rooms? The living room, dining room, and kitchen. Now, the entrance to this apartment is immediately into the front there, is it not -- the front room, rather? The front room, yes sir. Near the dining room there, in the living room, near the entrance to the dining room. When you went out, which way did you go out, at the front or at the back? I went out the front way. I always lock up the back door when I go out. I always lock the back door screen; it has a hook on the inside. I use the front door to come out all the time. Did you carry the back door key with you? No sir; I always turn it in the door and leave it just as it is. Now, when did you next see Mr. Taylor? The next morning, when I went to work. What time are you in the habit of coming to work? I am usually there about half past seven. What time did you arrive there the next morning? At just half past seven. On arriving there, what did you do? I picked up the paper first; I stopped in a drug store on the corner of 5th and Los Angeles to get a bottle of medicine; Milk of Magnesia, he usually takes that every morning, I bought that on my way out. I picked up the paper and unlocked the door. The first thing I saw was his feet. I looked at his feet a few minutes and said, "Mr. Taylor." He never moved. I stepped a little further in the door, and seen his face, and turned and ran out and hollered. Who did you summon? Who did you call to? You just made a lot of noise to attract all the attention you could? Several people came, did they? Yes sir; I think Mr. Desmond, and the gentleman who owns the court was the first. And Mr. -- you see I don't know their names -- I just seen them -- the two gentlemens next door, Mr. MacLean and Mr. -- I can't think of the other gentleman's name -- right next door to us. You didn't come back there after you had gone away, when Miss Normand was there with Mr. Taylor? When you went out, was anybody around the place? Only Miss Normand's Chauffeur; he had his lights all on inside the limousine, cleaning it. I hit him on the back and stopped and talked to him a few minutes. When you first opened the door, did you see any furniture overturned, or any sign of a disturbance in the house? Nothing more than a chair that was sitting next to the wall had been pushed out a little bit and his feet was under this chair. The rest of the furniture around the house and room was just as I left them when I went away that evening. And did you notice whether anything had been taken off of his body, or not; any jewelry? I didn't notice that; I didn't touch him at all. Do you know whether he wore any valuable jewelry? Yes sir, he had a wrist watch and another watch with a lot of little trinkets on; and a thing you stamp checks with to keep anybody from making the check any bigger, and a lead pencil. Did he have a diamond ring? Yes sir, he had a large diamond ring that he wore. Do you know whether he had it on that evening? Yes sir, he was dressed just as when I went that evening, as I found him the next morning. Was the ring on his finger the next morning? Yes sir. His other jewelry that I had put away the night before was just as I had put it away up in the dresser drawer. You didn't find anything taken from the apartment? No sir, it was just as when I left it when I found it. The rug was a little bit kicked up. It looked like he had pushed it with his foot. There was no other disturbance there? No sir; even the living room table that I had moved aside -- the rocking chair would hit the table, and I moved the table so the rocking chair would not hit the table -- it was just as I left it. Were any of the windows up at night? No sir, we had those little long pins that runs in the windows. The windows upstairs in his bedroom were up; the windows downstairs I always locked with this peg that slipped in the window. Were they still that way in the morning? They were still that way in the morning. The lights were burning just as I had left them that night; two lights, one in the living room and one in the dining room. That is all, you may be excused. Mr. Ziegler, were you called to the premises where the deceased was found dead? When did you arrive there? A little before 8 o'clock the morning of February 2nd. Will you state what you found when you got there? I found the deceased, Mr. Taylor, lying just inside of the door, on his back. His hands, one of them, apparently to the side of his body, and the other lying outstretched; and blood pouring from his mouth. He was lying with his head to the east, flat on his back, dead. Was his body rigid and cold? Indicating he had been dead for some time? Did you see any evidence of a disturbance in the house? Who was there when you arrived there? The owner of the building, Mr. MacLean, another Movie Actor, and Mr. Peavey. You mean the owner of the building, Mr. Jessurun? Yes sir; and Mr. MacLean and another man I don't know. One of the adjacent tenants of the building? Yes sir, living next door east of Mr. Taylor. Did you question any of those persons as to whether they had heard any gunshot the night previous? I learned that from Mrs. MacLean, that along about fifteen, or perhaps ten minutes to eight, the night before, she heard a shot. She thought it was a gunshot. She went to her front door and opened the door, and saw a man standing in Mr. Taylor's door. She looked at him, and he stood and looked at her; and he walked down the steps, turned to the left, and going around the end of the building, which is to the east; and out into the street. Which is Maryland, I think. Did Mr. Jessurun tell you he heard a shot? Did he say he didn't try to investigate it? He did not; he didn't know but what it was an automobile making a noise. Did Mr. MacLean endeavor to investigate it? Not that I know of, and Mrs. MacLean's Maid also heard a shot. Did they say why they didn't attempt to investigate the cause of the shot? Did you find any weapon about the room where the deceased was lying? I found a weapon in the room above. In the front bedroom in the dresser drawer, lying on a sort of box. Did you investigate to see whether the clothing was powder burnt or not? I did not; that was investigated, I understand, later. Did you ask any of the persons who were called by Henry Peavey, the Valet, whether there was any weapon there when they first came into the room? Yes sir, we looked for everything of that kind. Have you formed any conclusion whether it was possible this shot could have been fired by the deceased himself? Was the revolver found upstairs loaded? It was; it had five shells in it; it had not been shot of late. Was it the same caliber bullet as was found on the deceased? This was a 32-Automatic Savage. What was the number of the bullet that was found? I understand it was a 38; I haven't seen it. That is all, you may be excused. that is all the evidence we will take in this case. All but the Jury will be excused. 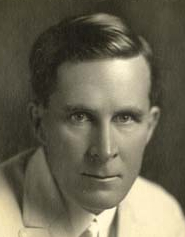 In the matter of the inquisition upon the body of William Desmond Taylor, Deceased, before Frank A. Nance, Coroner. We, the Jurors summoned to appear before the Coroner of Los Angeles County at Ivy H. Overholtzer's, Los Angeles, Calif., on the 4th day of February, 1922, to inquire into the cause of the death of William Desmond Taylor, having been duly sworn according to law, and having made such inquisition after inspecting the body and hearing the testimony adduced, upon our oaths, each and all do say that we find that the deceased was named William Desmond Taylor, a male, married, a native of Ireland, aged about 45 years, and that he came to his death on the 1st day of February 1922, by gunshot wound of the chest inflicted by some person or persons unknown to this jury with intent to kill or murder, all of which we duly certify by this inquisition in writing, by us signed this 4th day of February, 1922. 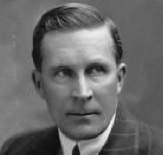 Updates to this site will be announced in the William Desmond Taylor discussion group on Facebook.